The namesake of Huntoon is Joel Huntoon, who is listed in the Handbook of Texas as a former director of the Panhandle and Santa Fe Railroad. The railroad arrived here in 1919 and a post office was granted in 1921. The next event mentioned is the construction of a general store and a grain elevator built in the late 1920s. 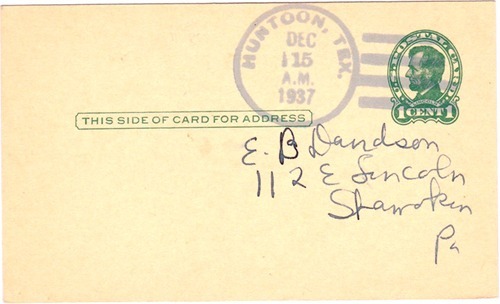 When the Great Depression hit, Huntoon lost its store and post office. Residents had to travel the five miles to Booker for groceries. Huntoon's school merged with Booker. 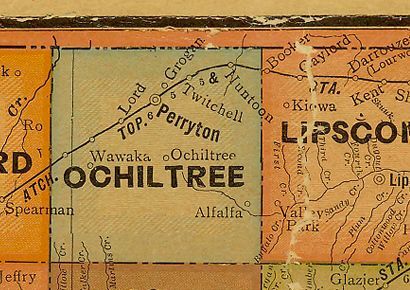 The last population figure for the town was in 1990 when 21 people were counted.